Our mission is to help people live out their mountain and trekking aspirations with a focus on local roots and culture. These days there are many different expedition outfitters and guiding services available to prospective Himalayan climbers and trekkers in Nepal, and it can be difficult to choose which one to go with. A large Western-owned company or a generic budget Nepalese company? Himalayan Ascent is neither. We’re a local company, a small group focused and run by adventurers for the adventurers, with international standard service. As a climber, if you are happy to climb with a large Western-owned operation where the size of your team may number in excess of 15 clients, and where you are unlikely to experience any interaction with the Sherpa guiding or support staff, then Himalayan Ascent may not be for you. However, if you are keen to climb in an intimate setting with a small group, where you interact and get to know your Sherpa staff personally, then Himalayan Ascent is what you’ve been looking for your Himalayan Expeditions in Nepal. If you appreciate a friendly and chilled out atmosphere, Sherpa guides who live and breathe mountaineering, in addition to the thrill of climbing your mountain objective, then we encourage you to contact us and discuss the Himalayan Expedition options available to you in Nepal. As a trekker, if you are looking to enjoy a trip safely and comfortably with knowledgeable friendly guides, we can help you fulfill your Himalayan Trekking ambitions. Whether you’re interested to follow a classic route with added challenges and sights, or explore remote wilderness and interact with local cultures, we can help you find your matching trip for your trekking in the Himalayas. 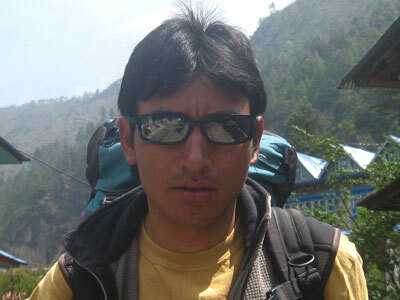 Sumit Joshi is the founder of Himalayan Ascent. Originally born and raised in the foothills of the Himalayas, Sumit moved to Australia in his early twenties for new adventures and where he discovered a love of rock climbing. For over a decade he guided for Australia’s pre-eminent Himalayan guiding company andled numerous trekking and mountaineering trips to Nepal, Tibet, Pakistan, Bhutan and India. 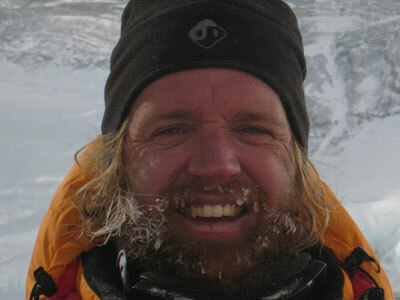 Patrick Hollingworth is assisting Sumit and Lakpa with the management of Himalayan Ascent. Based in Perth, Australia, Patrick has been an active mountaineer for over a decade, and he first visited the Himalayas in 2004 on an expedition to Spantik in Pakistan. Patrick has also climbed in New Zealand, North America and Europe. His last expeditions included successful summits of Cho Oyu and Mount Everest. Both of these expeditions he undertook with Himalayan Ascent. Other expeditions to Nepal include Island Peak, Mera Peak, AmaDablam and Baruntse. In Perth, Patrick also works for an environmental and energy consulting firm, where he manages a team of marine scientists. He is also a keen surfer and long distance swimmer, having twice completed a solo crossing of the 20 km Rottnest Channel. Pat understands what it is like to be a newcomer to Himalayan climbing, and he hopes to be able to provide sound advice to potential clients who are considering their initial forays into the world of high-altitude mountaineering. Rabin Shrestha is Himalayan Ascent’s head expedition cook – our very own master chef. Rabin has been cooking professionally for more than 10 years and has worked on numerous expeditions as the cook. Rabin specialises in traditional Nepalese, Japanese and Continental dishes. Rabin’s chicken roast (aka chicken parmigiana) is infamous, and in 2012 his yogurt and bread was in high demand from other Everest expedition camps.